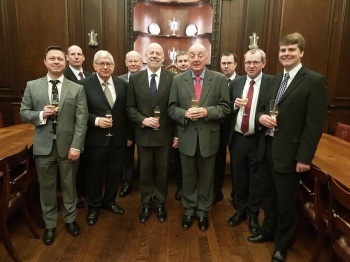 A compliment to Phil Goodyer and Doug Bell on their return to Australia, prior to Paul Williams' Christmas lunch at the Tallow Chandlers' Hall. The band with Phil and Doug. First submitted Saturday, 3 December 2016 at 12:06:04 by Stephen W Penney. This performance has been viewed 618 times.